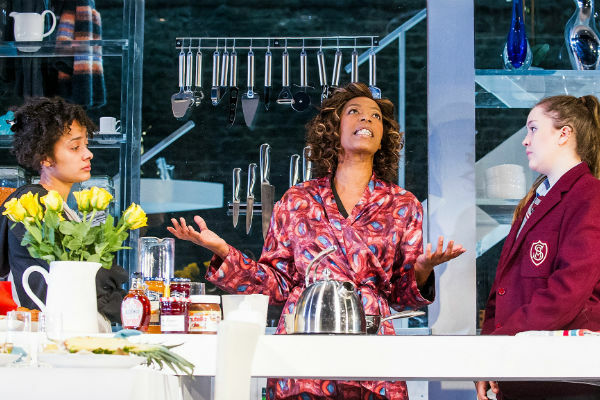 After Anna Francolini on Monday and the Judy Garlands yesterday, I’m going for a hat trick of blogs about amazing women today so that I can tell you this: if you haven’t yet seen Linda at the Royal Court yet, get your skates on. You’ve only got until 9 January to see this new play by Penelope Skinner which features – count them, gender equity fans – five fully-fledged female characters, all complex women at different, pivotal points in their lives; and at the helm, in the title role, one of the most extraordinary performances from any actress you’re likely to see this year or next. 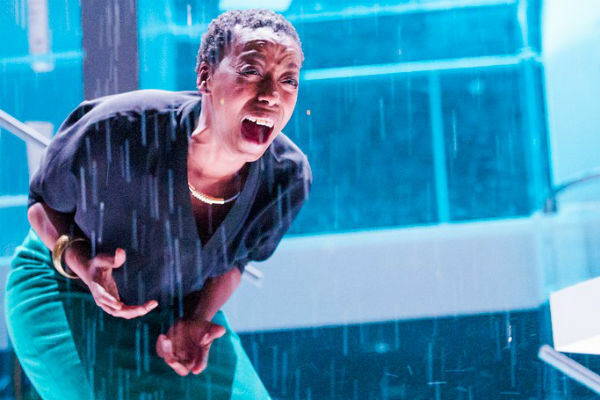 As Linda, Noma Dumezweni, onstage for most of the two hours and forty minutes, is extraordinary not just for the gale force with which she tackles this role of Shakespearean size and scope – but also for her utter fearlessness. It was the high Hollywood wattage Kim Cattrall who was originally due to star, but Cattrall pulled out, on doctor’s advice, during rehearsals. Noma stepped in just ten days before press night – which went ahead as scheduled. How many other actors, male or female, would have the, well, balls?! Noma’s heroics seem all the more apt considering the role: Linda is a “woman of a certain age”, who is also a successful marketing director for a cosmetics company, a woman who has spent a career championing “real beauty” and bolstering female confidence. She has fought and continues to fight, as women must, to be heard, to be seen, to be taken seriously. It’s a great role that Penelope Skinner has written for a great actress; she has found one who does it justice. I also talk about Linda with fellow bloggers Gareth James and Tim Watson on this week’s As Yet Unnamed London Theatre Podcast here. Here are favourite nuggets from Penelope Skinner’s Linda, which is directed by Michael Longhurst. The other fantastic women in the cast are: Imogen Byron and Karla Crome as Linda’s daughters, Amy Beth Hayes as Linda’s conniving younger colleague and Merriel Plummer as her husband’s regretful mistress. Linda continues at the Royal Court Theatre until 9 January 2016. Makes me wonder: Why isn't Anna Francolini a household name? What's the collective noun for Judy Garlands? Why are strong women - and witches - so scary?